UI Korter - Modern flat User Interface set of website components, which includes navigation menu, square buttons, notifications, pagination, progress bar, scroll bars, input field, checkbox, radio button, rating stars, counter, videoplayer, calendar, diagram, social media icons and many more elements. 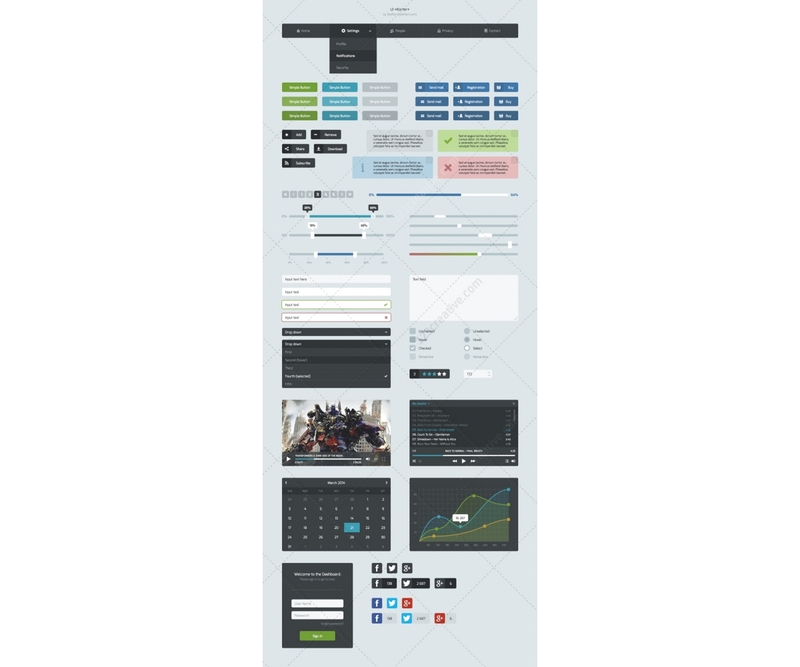 You can use this UI Kit in any of your projects. 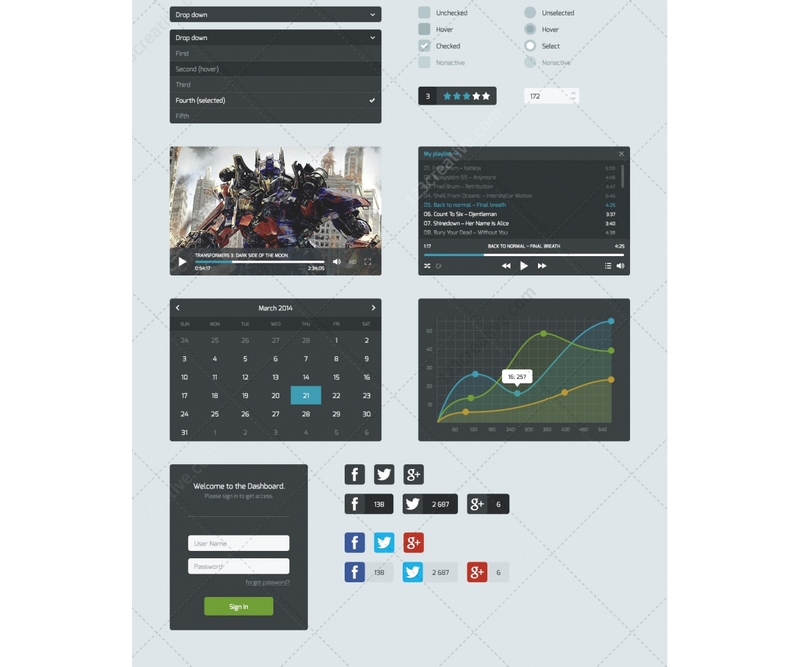 UI Korter - Modern flat User Interface set of website components, which includes navigation menu, square buttons, notifications, pagination, progress bar, scroll bars, input field, checkbox, radio button, rating stars, counter, videoplayer, calendar, diagram, social media icons and many more elements. 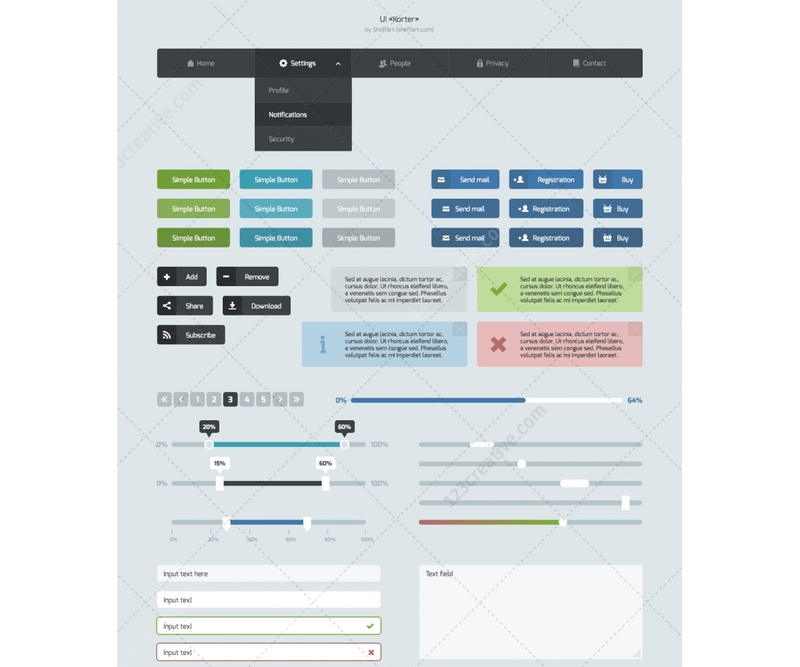 You can use this UI Kit in any of your projects. The product does not contain fonts.